In addition to the Bobbie Training Videos, the Bobbie Operator Manual, Bobbie Coloring Book and Bobbie Lesson Plans can now be downloaded from the CCGA Web Site. Kids can also play with the on-line version of Bobbie´s Interactive Activity Book. 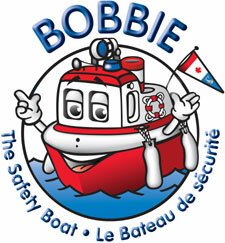 Take a look at these new tools developed by the Auxiliary to help teach Safe Boating Activities to children. The Bobbie program was funded by the NIF Program of the National Search and Rescue Secretariat.